As a descendant of ancient dragons, Drake Rider is the only Dragon Knight who still roams the land. Long ago, people gave up on him because of his fear of war. But he finally managed to fight his fears and came back to the battlefield as terribly destructive force in the fight against evil. 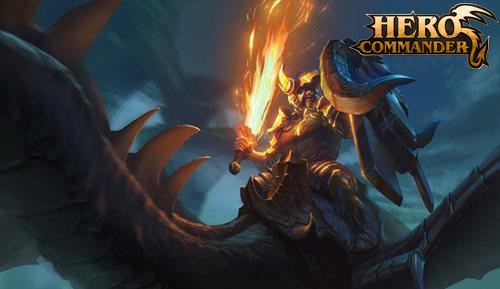 Drake Rider, the strongest hero of the front row, is now coming to Hero Commander! Drake Rider can control the enemy and deal massive damage. This means that the Drake Rider can play the biggest role if he strikes first. 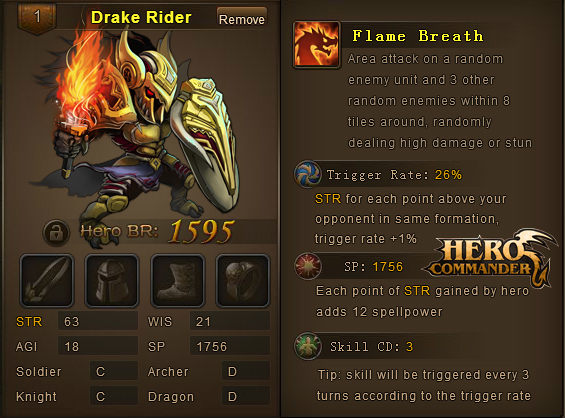 In order to take the most advantage of his skill power and to improve his chance to cast the skill first, it is recommended to place Drake Rider in the second row. The classic formation includes Succubus in the front, Drake Rider in the middle and Moon Knight in the rear. If you have enough WIS gems, you can replace Moon Knight with Zeus to increase the damage dealt on a large scale. There are plenty of new things in the new patch of Hero Commander. Enjoy the improved game! PlanetSide®2 will be available on the PlayStation®4 in North America and Europe on June 23, 2015.